Holly Willoughby got more than she bargained for when she appeared on Thursday night’s episode of Celebrity Juice alongside Danny Dyer. After Danny boasted he has ‘one massive bollock’, the EastEnders actor proved to the This Morning host that he, quite literally, had huge balls. 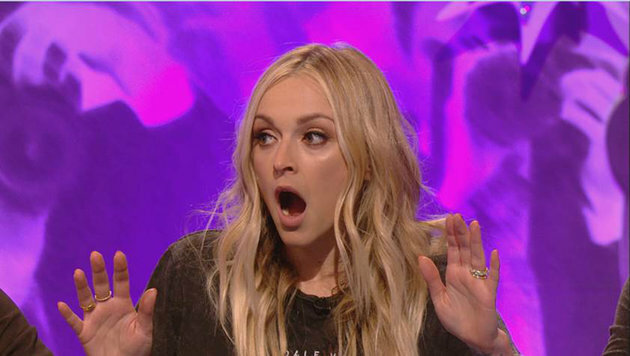 This Morning host Holly immediately said no, but after being egged on by the audience, and co-star Fearne Cotton, who told pal Holly to ‘take one for the team’, she took a peak citing it was on ‘medical grounds’. And by her reaction, the rumour was probably true – she was pretty flushed, as was her teammate Zoe Ball, who yelled ‘Oh my god’. Not a bad reaction, I’d say. Carrying on with his antics, Dyer also had a special message for the Queen to mark her 90th birthday on Thursday.